Does anyone know how to delete a song in a playlist? There’s an option to remove a song from favourites, but I cannot see an option to remove a song from a playlist - does anyone know how to do this? Hi Everyone, i'm so sorry about that! We have reported this to our devs and hopefully it will be fixed soon! Hi @Greg, should work exactly the same. Is the playlist your own? 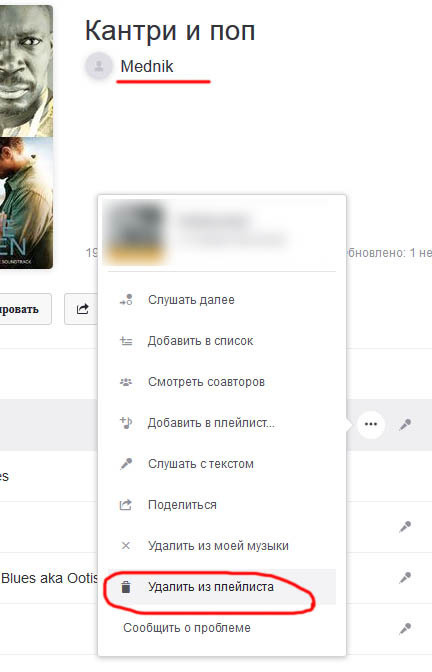 Hi Anja, thanks for your reply - I found out that there’s a ‘remove from playlist’ option when you go into a song in the ‘List’ view in a playlist. It just doesn’t appear when in the ‘now playing’ view. Yes, that's true! It can only be removed in the playlist view but not from the player. Hi how do I remove songs I don't want on a playlist ? It would be very helpful to have a "remove from playlist" option on the player. I often put unheard songs into playlists as a way to keep track of new music I want to listen to. When I'm listening to that playlist, I want to easily be able to drop songs from the playlist (because I didn't like them) rather than open up the playlist to modify it. Since I'm generally not be interested in hearing the majority of new songs ever again, going to the playlist screen quickly becomes very tedious. If this is not exactly what you mean you are welcome to create a topic in the ideas forum for this and we pass it on . Yep, that's exactly what I'm interested in Flo. I voted for it. Thanks for your assistance. I agree that is a good suggestion as I also occasionally stack an entire album on a playlist then delete what I don't want all whilst I am playing the whole thing on the site so expected you could do that on the player. Unfortunately, remove from playlist option has not functioned properly for me the last 3 days. I select this option and the drop down menu just remains then I have to click on a blank space to get the drop down options to disappear. Hmm and on which device is this happening? Is it happening on all of your devices? I click on the song to be removed and click "remove from playlist" and it's not working. Anyone know why? Hi. Menu option "remove from playlist" does not work. Other options work. Only this is not working. What could be the problem? Should work like described in above - it's not working for you? Sorry, didn't see a solution to the problem in this thread (googletranslate). My playlist. When I select "delete" nothing happens. Rafael, yes that works fine. Thank you very much for your help. Shannon, in answer to your question: I am currently using Deezer on my laptop only. I hope this information helps to resolve the problem for everyone. 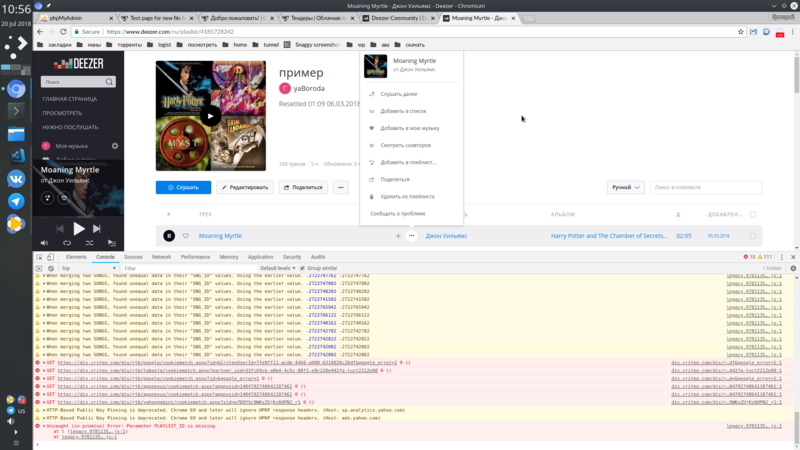 Button "remove from playlist" of track menu in my own playlist just don't do anything and errors appears in browser console. Tried in Chromium and in Firefox. I have the exact same problem - Clicking on 'Remove from playlist' leads to nothing. I remove songs checking checkbox in the right side of track line and then click remove button at the top of playlist. Not very convenient, but at least it works. Hi @yaBoroda, @Doron, I'm sorry about that, we are working on it. Please see above! @Rafa Yumi Waiting for the patch/fix.